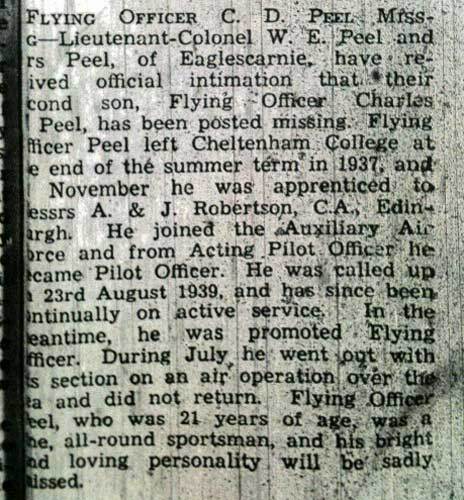 Charles David Peel was born on 3rd May 1919, the younger son of Lt. Col. WE Peel DSO of Haddington, East Lothian. Peel attended Cheltenham College in 1932, graduating in September 1937. In November that year he was apprenticed to A & J Robertson, Accountants of Edinburgh. He joined 603 Squadron, Auxiliary Air Force in 1938. Called up on 25th August 1939, he was at Turnhouse with 603 on 17th July 1940 when he took part in an operational patrol. His Spitfire K9916 was not seen to go down but disappeared without trace. 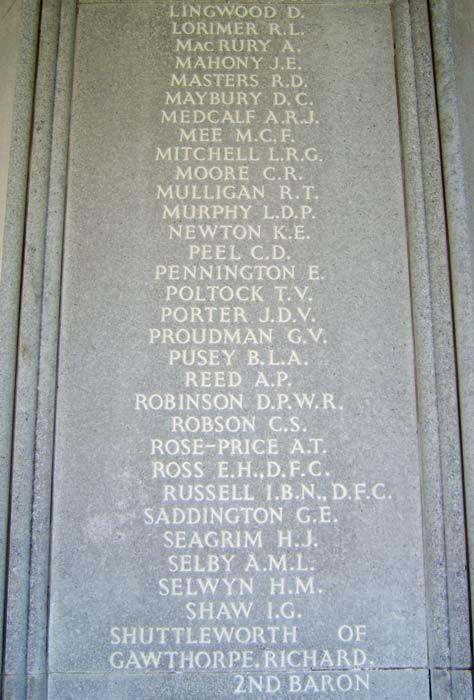 Peel is commemorated on the Runnymede Memorial, panel 6.